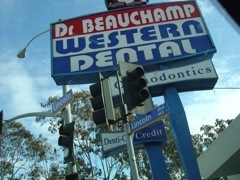 This studio is about three Boulevards in the Los Angeles Basin: Wilshire, Olympic, and Lincoln. We’ll explore them with two design problems. The first six weeks of the studio will be devoted to doing the Lyceum Fellowship’s invited competition among 12 architecture schools. 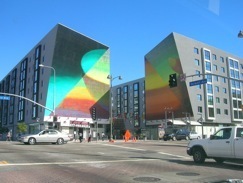 This year’s Lyceum Competition is an Intergenerational Center for Los Angeles. Details of the competition are available at www.lyceum-fellowship.org. 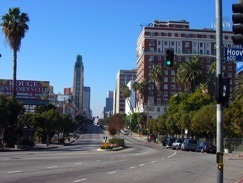 The site is located on the eastern edge of Koreatown on Wilshire across the street from Lafayette Park. The program for the center includes grand family housing, a Head Start center, and a Senior Center. Entries from all schools will be judged independently. Winning entries receive cash prizes to be used for travel. The remaining ten weeks of the studio will explore LA boulevard strip development with a very special drive in restaurant. As an alternative to “Frogstar World B,” this design problem proposes that “Milliways - The Restaurant at the End of the Universe” will have been built on Magrathea’s planet-sized computer named Earth. 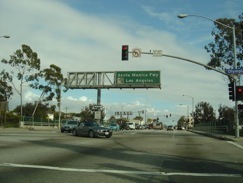 The specific location will have been the northwest corner of Lincoln and Olympic Boulevards in Santa Monica. This intersection’s significance is that it marks the western terminus of Historic US Route 66 - the ‘Mother Road.’. Besides mixing the metaphors of Doug Adams, Nat King Cole, the Dust Bowl, and 60’s television, students will be expected to meet the off street parking requirements of Santa Monica’s zoning ordinance.